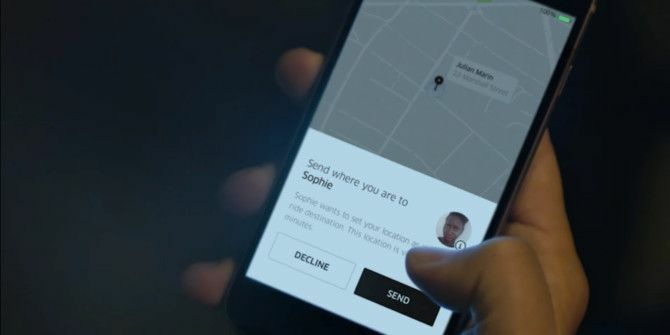 Uber is making it easier for you to request a ride for someone else. While it has always been extremely easy to request a ride for yourself, requesting a ride for someone else has required extra effort. Now, Uber is making it just as easy to request a ride for someone other than yourself. Not everyone is capable of requesting an Uber for themselves. Hell, there are probably millions of people out there who still don’t know what Uber is What Is Uber and Why Is It Threatening Traditional Taxi Services? What Is Uber and Why Is It Threatening Traditional Taxi Services? Uber has landed, and it's fundamentally changing inner-city transit. And some might say, not entirely for the better. Read More , let alone know how to order one. This is rather limiting Uber’s reach, which is why it has added a new feature to the latest version of its app. This feature will kick in if and when you request a ride from Uber but set the pickup as somewhere other than your current location. The app will detect that there’s a mismatch, and automatically ask whether the ride is for a friend or family member. If it is, you can proceed. Assuming you haven’t made a mistake by selecting the wrong pickup point you can then select the rider from your address book, select their destination, and complete the request. At which point the rider Uber Reveals the Rules All Riders Need to Know Uber Reveals the Rules All Riders Need to Know Uber has revealed the rules all riders need to know. And as breaking any of these rules could see you banned from using Uber ever again, regular Uber riders should probably take notice. Read More will receive a text message from the driver, and be able to contact them directly. This is a really simple but clever idea. It’s easy to forget that not everyone is aware of the concept of ridesharing Hire A Car In Most Major Cities Worldwide With Uber And MyTaxi Hire A Car In Most Major Cities Worldwide With Uber And MyTaxi You'd expect by now that hiring taxis with an app on your fancy GPS-enabled device to tell the drive your location would be an everyday event, right? Wrong. Read More and the gig economy. Or that not everyone owns a smartphone with the Uber app installed on it. This feature is for all of those people and more (possibly drunk friends) besides. Do you use Uber as a means of getting from A to B? Have you ever wanted to request a ride for someone else? What do you think of the way Uber has implemented this feature? Can you see yourself requesting an Uber for a friend? Please let us know in the comments below! this is great now can send a uber to my mother-in-law to get her around. they would have to call her she does not text but they often call me when coming to pick me up. This request Uber for a Friend is a good feature, but it would be even better if it allowed the driver to contact people by e-mail, as not everyone has texting capability. Ohh,good initiative.Is this started in India too.It is win win for customer and Kuber too. uber can retain lost business if any. Dave Parrack is a British writer with a fascination for all things tech. With over 10 years experience writing for online publications, he's now a Deputy Editor at MakeUseOf. You Can Now Tip Your Uber Driver… Finally!